Where did you intern? What did you do there? I interned at the United Nations Headquarters in New York and at the United Nations Office in Geneva, Switzerland. I provided assistance to FIU Law professor Charles C. Jalloh as a research assistant through various tasks such as drafting speeches regarding my assigned topic, verbatim note taking in daily meetings, providing research on both the topics under discussion and related settled international law, and preparing bibliographies of relevant case law. How did you get your internship? I originally received this internship when I reached out to Professor Charles Jalloh during his Advanced Topics in International Law seminar in the spring of my second year in law school. I was offered the internship Summer 2017, and after continuing serving as Professor Jalloh’s research assistant throughout the year I was offered to return to the internship for this past summer. What advice do you have for those beginning the internship process? My best advice is to ask for opportunities rather than wait for them to arise. I never would have had this opportunity had I not reached out to Professor Jalloh after he made a comment in class regarding how useful a research assistant would be. It may be intimidating to reach out to a professor you don’t know well to ask, but ultimately it can lead to important opportunities you wouldn’t have had otherwise. What projects did you work on? I continued working on the projects on the International Law Commission’s programme of work, especially regarding the topic of Provisional Application of Treaties. During my second year in law school, I wrote my seminar paper on the topic — and, after witnessing it change and take shape through the commission in Summer 2017, I had the privilege of continuing with the topic through providing research and feedback on the changes presented in Summer 2018. How did your internship connect back to your coursework? During my matriculation at FIU Law I focused my studies on international law. 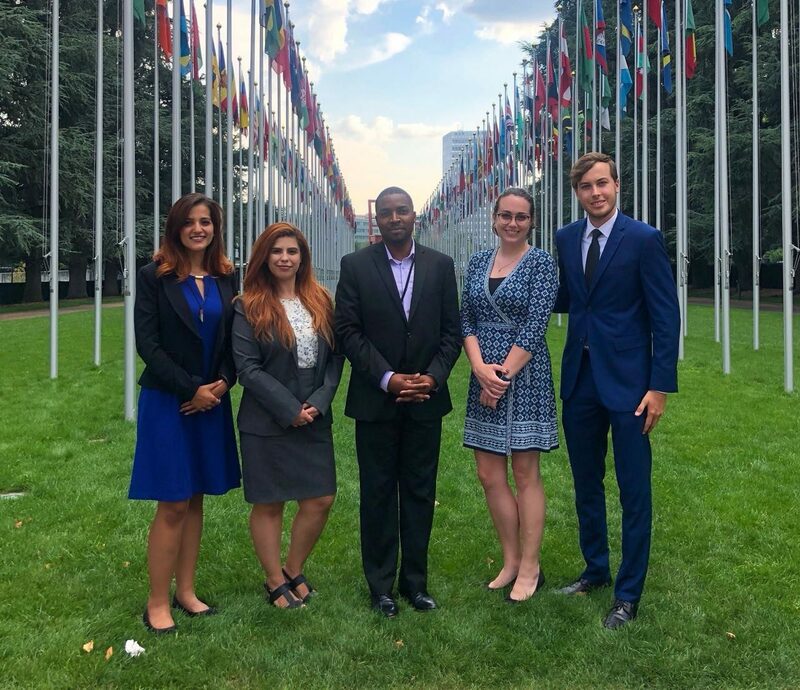 This internship provided an opportunity to rigorously study select topics in incredible detail and learn more about the United Nations system and how international law comes to be. This internship was a way to take my coursework and see it working in real time. What was the coolest thing about your internship or that happened during your internship? The coolest thing about my internship was having the opportunity to talk with the individual commissioners. One day the female members of the commission invited all the female research assistants out to lunch so we could ask them about their specialties and their path to getting on the commission. Because the ILC is still a male dominated body, it was really special to be able to talk to women experts in the field on how to follow in their footsteps and continue working toward gender equality. What did you like most about your experience? What I liked most about the experience was being able to follow emerging international law as it happened in real time. I began studying some of these topics in January of 2017 and witnessed the discussions where the proposals changed and the law became clearer. To be able to witness the initial steps of the future of international law was an honor. What did you learn about yourself? What I learned about myself at this internship was the true extent of my passions. I always looked to international law from an academic standpoint because I found it interesting, but I am now seeing how important it is to me to be part of the process as well. How did the position increase your professional confidence? The position increased my professional confidence because I was able to continue my professional relationships with commissioners I met last year and also guide some of the new research assistants through their questions on the inner workings of the ILC. I gained so much confidence from speaking with commissioners, some of the top legal experts in the world, who were genuinely interested in me as a person and my thoughts on international law. By helping the fellow research assistants I realized how much work I had already done and how proficient I was at my work. How did you expand your professional network? I networked with fellow research assistants from all over the world and made important connections with other future human rights advocates. How did it help you prove yourself in the “real-world?” Not only did I gain professional confidence during my internship, but I also gained so many valuable and vital skills as a research assistant that will serve me in my next job, and I can confidently walk into interviews knowing that I have important contributions to make to the firm.